Only Gold Chassis Car Kit can click ID: 1335202 to refer and buy. A novel design has already come for the tank chassis, with beautiful shape, and full metal aluminum alloy structure. In this tank chassis, a space for the 9g servo is left for the ultrasonic sensor, and space for MG995 servo is also left to rotate the mechanical manipulator. 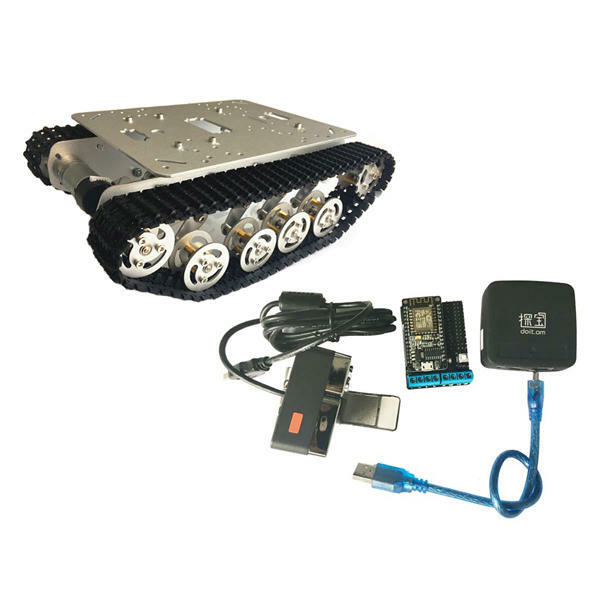 What’s more, UNO R3 and NodeMCU development boards are also designed to install. In addition, the metal panel can be used to install the wheeled car by install the 25mm and/or 37mm motor frames. Interesting, a LED light is installed to brighten the dark in the night. 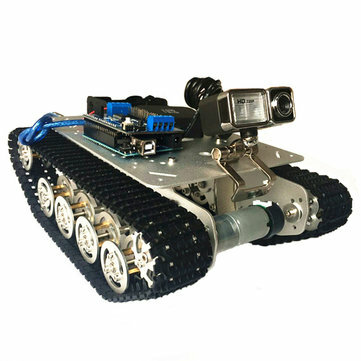 Under the help of the motor, the tank chassis can be smoothly turn left, right, circle, forward and backward, etc. Therefore, when you get the chassis, it can do many things for you, like getting the temperature and mobile monitor. Certainly, we have developed a series of car/tank chassis. Hoping you can choose your loved car chassis. 3) The bearing wheel piece is connected by the stainless steel and two bearings, which can let the bearing wheel is rotate freely with small frictions.